There’s an explosion happening on the Isle of Man, but in a good way. The hobby that has grown, with a huge increase in participants among locals and visitors alike, is geocaching. You might have heard of it, or even tried it yourself. Someone you know will certainly have had a go. To get started, you’ll need to log into geocaching.com and create a profile for yourself. You can then have a look what it’s all about. You’ll also need some sort of GPS device which works in the same way as a satnav. 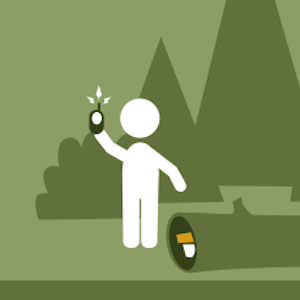 If you have a smartphone, you already have one and with the right app you can start geocaching. There are plenty of geocaches on the Isle of Man to keep you busy for a long time. But perhaps you’ve found a few simple ones and want to know how you can make the hobby more enjoyable. Or perhaps you like walking and wonder how you can get the kids to enjoy going out in the countryside too, or even add that extra motivation for yourself. Walking one of the geocaching trails is an excellent way to enjoy the great outdoors and take some exercise without it costing the Earth, both in monetary and ecological terms. The Millennium Way runs from Sky Hill near Ramsey to Castletown via the historic route taken by the former Kings of Man when they travelled to Castletown. There are 46 geocaches, placed every half a mile or so along the route, which is approximately 23 miles long. Don’t worry, you don’t have to complete it all in one go! In fact, most geocachers complete the route in two, three or even more sessions. And there’s a very special added incentive, as well as the hidden “treasure” en route, to help you on your way. Another aspect of geocaching is trackable items. These each have a unique number and if you find one you should log it on the geocaching.com site to tell the owner whether you have just discovered it or taken it to move along to another cache. Unlike the simple trinkets you may find in some geocaches which can be traded for something else, these belong to someone and are not to be kept but are intended to travel from cache to cache. They take various forms, but the most impressive are geocoins. 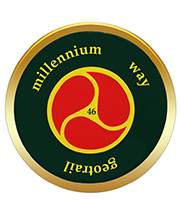 If you complete the Millennium Way Geotrail, you can earn yourself a superb commemorative geocoin absolutely free of charge, thanks to generous sponsorship from Isle of Man Tourism. In each geocache you will find a unique two letter code written on the log sheet. Make a note of this code and download the Geotrail Passport from the link in the online cache page for either Millennium Way GeoTrail No.1 or No. 46 (The Start or The End). Follow the instructions given in the Passport to claim your free coin. 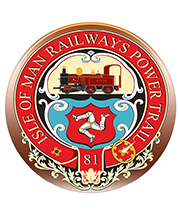 The coin makes an excellent memento of your achievement and can either be kept in your collection or released to travel from cache to cache, spreading the word about the Millennium Way and the Isle of Man. Of course, there are other trails on the island. The Heritage Power Trail runs along the old Douglas to Peel railway line. There are over 80 geocaches to find and because of this it attracts a large number of visitors to the island. It has the added bonus of being flat and is suitable for cycles, buggies, dogs and even horses. Most is wheelchair friendly, although assistance would be required to access some of the hides. It runs close to the Douglas to Peel road so can be done in sections if required. But be careful! The trail is also popular with non-geocachers, known as “muggles”, so be stealthy when searching for the caches, we don’t want to give the game away! There is a commemorative geocoin available for purchase for this trail, whether or not you complete it. Details can be found on the online cache pages for Heritage Power Trail 1 and 79. We now also have the East to West trail known as E2W (orW2E) which runs from Laxey to Peel over varying terrain ending with no. 49 just north of Peel. If walking the Raad ny Foillan appeals, there are several trails which use this coastal footpath. Starting in Douglas and heading south along Marine Drive, The Trail of Erik the Viking begins with a high terrain cache but the trail overall is a mix of simple and more challenging hides. Further south, you could take a short Walk to Scarlett, finding six fairly easy caches along the way. In the south west there’s the Raad ny Foillan – The Sound to Port Erin series of seven caches. If you travel by car or bike and park at the Sound you will have to retrace your steps but could reward yourself with refreshments at the excellent cafe, or perhaps do them in reverse order and treat yourself to an ice-cream in the pretty seaside town of Port Erin. The Raad in the north west and north of the island does not, at least as yet, have a cache trail but there are plenty of coastal caches which could be picked up as you follow the path. Returning to Douglas, the J&D trail follows the road between Groudle and Onchan. There are also many shorter trails and series around the island. Port Grenaugh walk takes you through a very pretty area. In the Laxey area, there’s the Laxey Trail, the Laxey Nature Loop and the Ballannette series of caches. Not all caches are along trails of course. Some are out on the hills and require serious walking to access. Always take note of any warnings on the cache page, listen to the weather forecast and go prepared with suitable clothing and footwear, water and perhaps a picnic. Note the terrain rating on the cache page and check the online logs of previous finders for hints about any possible pitfalls. You are responsible for your own safety. You really are spoilt for choice and you can do as many or as few as you wish each time you go out, so there’s no excuse for not enjoying some fresh air and the best of the island’s countryside. Perhaps you have found lots of simple geocaches, completed some great walks and now want something a little more interesting or challenging, or simply more fun. If you’re not a long distance walker, or have children with you, check out the three dozen caches in the Archallagan plantation. Most are much more fun and interesting than the average plastic box and will amuse even the more reluctant family members. As well as traditional geocaches, there are mystery caches, a multi cache, a “wherigo” cache that requires the downloading of a special app and even a couple of cache trails that have to be done at night – you’ll need a torch and probably a friend to hold your hand in the dark! For a small annual fee you can become a “premium member“. 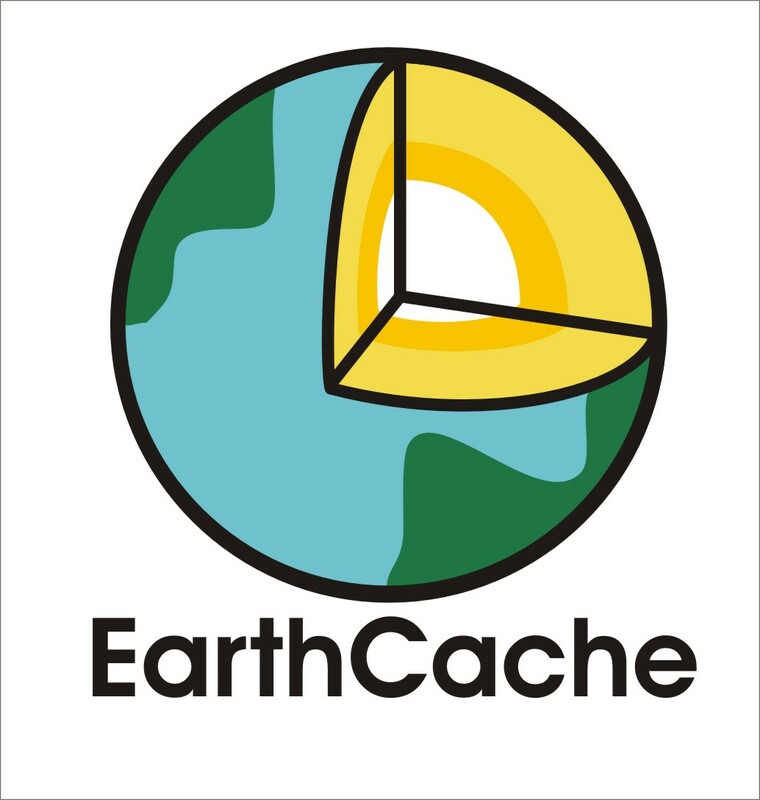 Some geocache owners make their caches available to premium members only. There are several reasons why a cache might not be considered suitable for an inexperienced or casual cacher. It might require some extra effort or knowledge to find or it may be a container which requires special care to open and be replaced correctly for the next finder. If you’re a premium member and want to find some caches with an extra twist, take a look at the caches on the bookmark list Conrhenny and Clypse Quirky Caches , they’ll either make you smile or make you want to tear your hair out! There are even geocaches for those who want to learn more about the natural environment. Take a look at the island’s small but growing number of Earthcaches. There’s no container to find with this type of cache, just a few questions to answer to show that you have learnt something by visiting the locations.